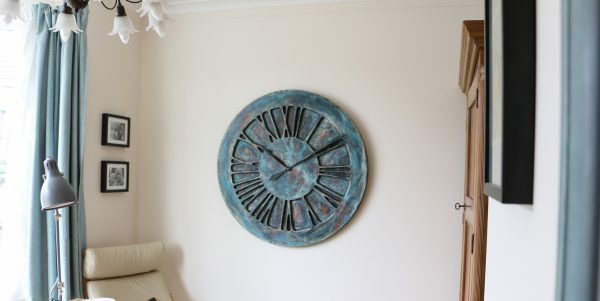 Stunning work of art, extra large bedroom clock with Roman Numerals. 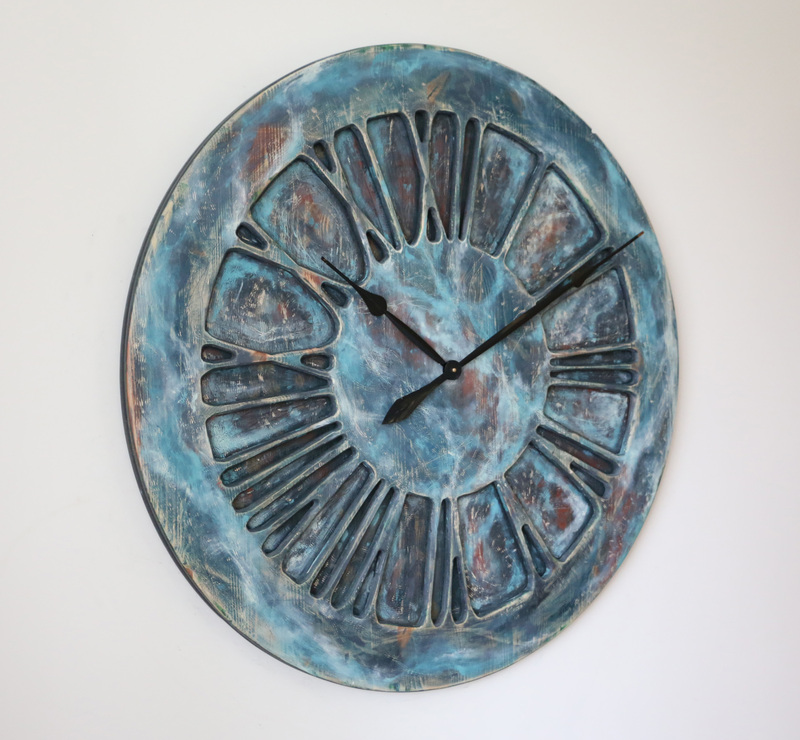 If you are looking for sophisticated wall decor to your kitchen or family area this amazing timepiece may be something for you. It will draw attention of all your guests and create desired “wow” effect. It has been initially designed as 40″ centrepiece but other sizes are also available. 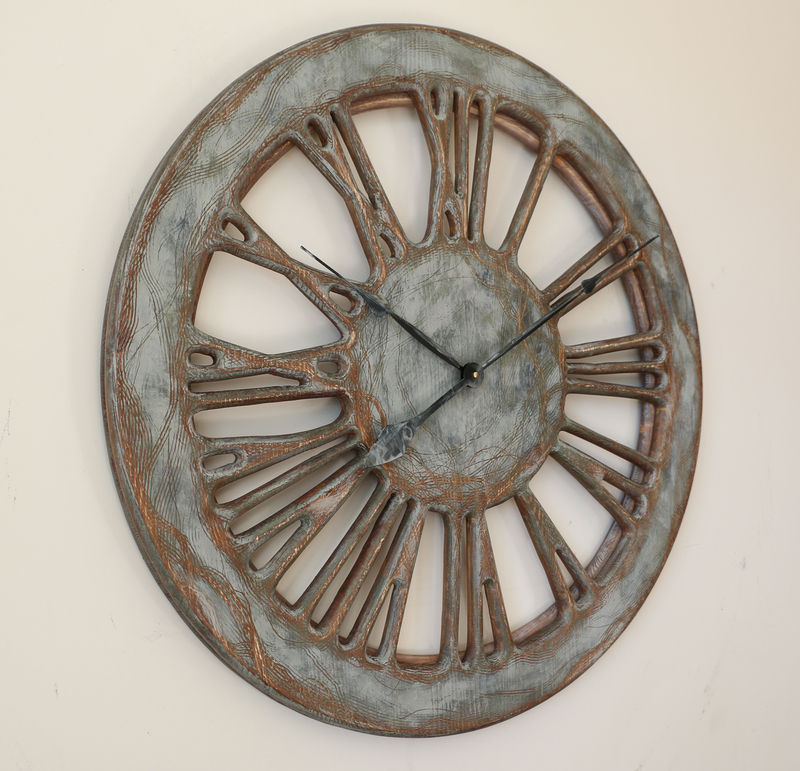 We have plenty of great looking large roman numeral clocks in our online store but most of them are in very traditional Rustic, Shabby Chic or Industrial style. Some of those good looking timepieces are a bit more plain and less extravagant to suit more subtle interiors. 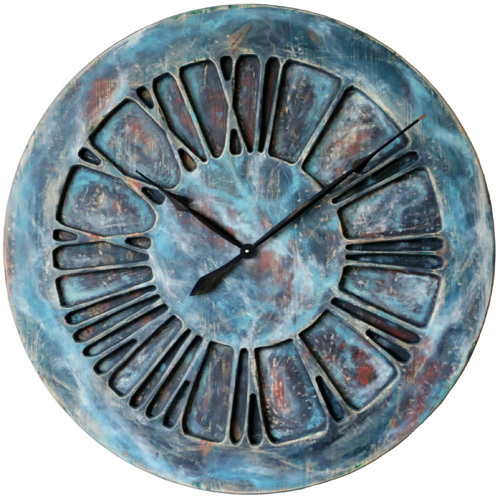 The “Midnight Blues” breaks away from that convention by becoming the most colourful bedroom clock in our collection so far. 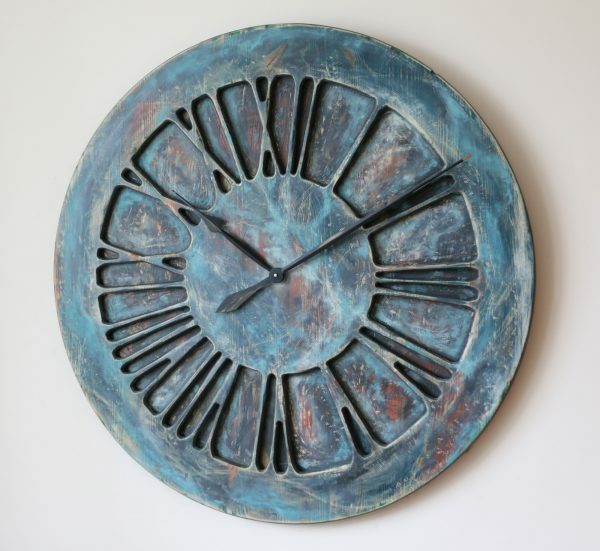 As all other handmade clocks with Roman Numerals, we also cut it from two large panels of pine wood. The front shows the beautiful large numbers while the back plate complements its fairy tale look. We have originally designed it with 40″ diameter to be a true statement piece in your house but other sizes are also available. If you select a smaller 30″ version some of the numerals have slightly different shape. This is to make sure they aren’t too thin. Selecting the largest 48″ diameter would mean the same proportions and truly huge size for big empty wall space. Regardless of the size you chose you can rest assured that this most remarkable bedroom clock would not only provide the strong “wow” factor. It will also be your family treasure for many years to come. Don’t worry about providing electrical power to it. All our clocks only require a single C-Cell battery to power up silent Quartz mechanism.